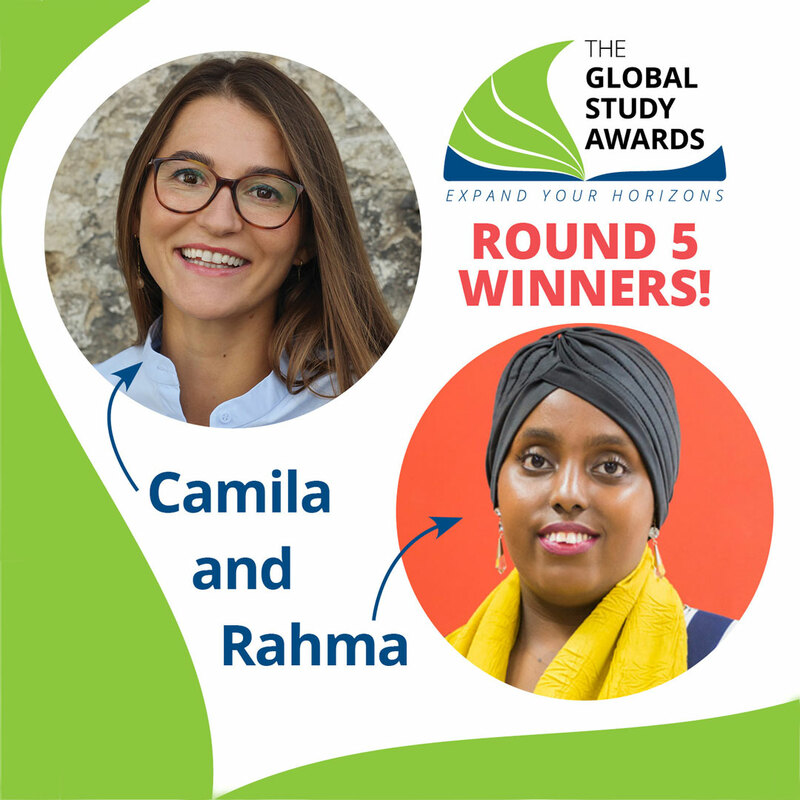 8 October 2018 The winners of the latest round of the Global Study Awards have been announced, with Rahma Ahmed from Somalia and Camila Bennink from the Netherlands both scooping £10,000 to put towards their studies. The Global Study Awards were established in 2015 by British Council IELTS, International Student Identity Card Association (ISIC) and Studyportals to encourage and support more people to undertake study abroad. The awards are open to students over the age of 18 from any country in the world who have taken the IELTS test, the world’s most popular English language proficiency test for higher education and global migration. The awards are granted to applicants whose determination to make a positive contribution to society is deemed exceptional, and whose commitment to intercultural understanding encapsulates the spirit of the Awards. “The Global Study Awards receive applications from some truly inspiring individuals, who have an international outlook on the challenges facing the world today and are already actively engaged in development or social issues. This year’s winners show incredible promise in their chosen fields, and I am proud that IELTS and the Global Study Awards are helping them on their journey. “For a long time, I wanted to pursue my studies further but couldn’t do so because of obligations towards my family, the dream to study IT Entrepreneurship sounded so far away. With the Global Study Awards, I can finally sustain a great portion of my tuition and buy myself some time to raise the remaining funds. “Before I applied for the Global Study Awards, I thought long and hard about my intentions. One who would receive such an award should be willing to contribute to society to the best of one’s abilities and inspire others to do the same. For everything we do for ourselves dies with us, yet what we do for others will remain. The new Global Study Award winners join an impressive list of past winners from around the world, including students from Brazil, Germany, Hong Kong, India, Kenya, Malaysia, Myanmar, Palestine territories, Taiwan and Uganda. They have chosen to study abroad in the United Kingdom, Australia, the Netherlands, the United States, Germany and Greece. Further information can be found on the Global Study Awards page. The Global Study Awards is an exciting initiative launched by British Council IELTS, International Student Identity Card and Studyportals. The Global Study Awards are available to prospective students in all countries worldwide and enable the winners to study abroad on any chosen undergraduate or postgraduate programme at a higher education institution. Stories from past award winners can be found here. IELTS is the International English Language Testing System, the world’s most popular English language proficiency test for higher education and global migration with more than 3 million tests taken in the last year. Over 10,000 organisations trust and accept IELTS as a secure, valid and reliable indicator of true to life ability to communicate in English for education, immigration and professional accreditation purposes. IELTS is jointly owned by British Council, IDP: IELTS Australia and Cambridge Assessment English. ISIC Association is the non-profit organisation behind the International Student Identity Card (ISIC). 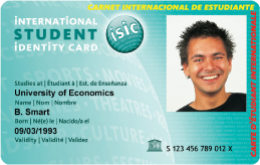 First established in 1953, the ISIC card is now issued to students in close to 130 countries to all bonafide students over the age of 12, regardless of their nationality, race, gender or religion. The ISIC card is the only internationally accepted proof of bonafide student status and gives access worldwide to over 150,000 products, services or experiences in every stage and area of student life. Studyportals is the international study choice platform, enabling students to find and compare their study options across borders. With over 150,000 published courses from over 3,050 participating universities and over 28 million users in 2017, Studyportals is the world’s leading information source for study seekers. Studyportals has started as an international student organization in 2009, that initially focused on the European education market. Since 2014, the organization headquartered in Eindhoven, the Netherlands, has grown into a performing company, constantly expanding its services, and is now also serving universities in the Americas, Oceania and Asia. For universities, Studyportals is a results-based channel to grow, optimize and diversify their (international) classrooms.